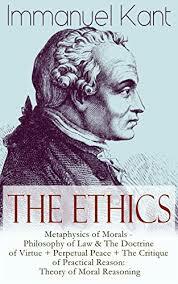 Immanuel Kant provides an excellent foundation for a research paper on ethics. This is a topic suggestion on Kant and Ethics from Paper Masters. Use this topic or order a custom research paper, written exactly how you need it to be. Begin by noting that his deontological approach rested in the belief that duty was paramount in one’s life. Every person had an obligation to respect and practice a moral law. When writing your paper, recognize that “moral law” is very ambiguous and must be classified. The moral law is the foundation of his categorical imperative. Kant’s categorical imperative was meant to serve as the foundation for all ethical judgements. The main premise is that a person must act in accordance to an obligation to a moral code, without concern for the outcome. Meaning, one must always do the right thing, no matter what is going to happen to the self or to someone else. The word “duty” is used often by Kant and there was no gray area when it came to duty. When an action goes against the categorical imperative, it wrong, immoral and in violation of what a man or woman should do. At this point, it would be a good idea in your research paper to pause and reflect on whether or not you personally agree with this. If it is a philosophy research paper, you may want to inject personal reflection; however, if it is for an ethics class, simply report what Kant is trying to say. Paper Masters writes custom research papers on Kant and Ethics and provide an excellent foundation for a research paper on ethics.